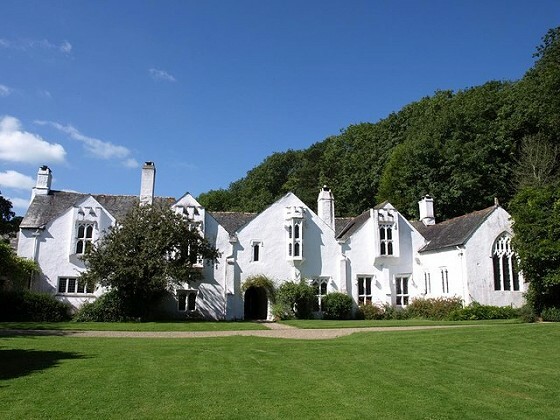 This list of beautiful and historical grand homes and gardens in South Devon brings together some must visit South Devon attractions, whether you’re in the area for a brief moment or staying for an extended break. 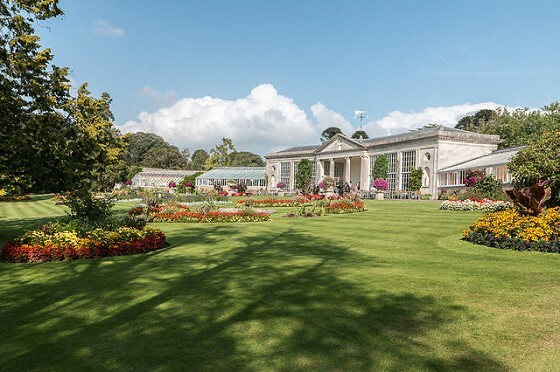 As we’re based in Sidmouth we’ve compiled this guide of grand homes and stunning gardens with The Victoria as the starting point, looking at local gardens and parks in town before expanding out to the best attractions within an hours drive of the hotel. How many of these have you visited and enjoyed? Once the private grounds of Blackmore House (which is sadly no longer standing), the gardens were made a public park in 1952. The gardens contain beautiful flower beds with exotic plants, large areas of grass and a greenhouse containing a fountain. Traces of the historical garden walls which originally grew wall climbing fruits can also be seen. Located at the western end of Sidmouth Esplanade, these gardens are named after The Duke of Connaught. Wonderfully placed with views over the coastline and out to sea, Connaught Gardens played an important defensive role during the Second World War. Today you’ll find a showhouse, topiary gardens, access to Jacob's Ladder Beach and the Clock Tower Cafe. A jewel of Sidmouth, The Byes are a mixture of parkland, meadows, open fields and farmland that follow the River Sid for approximately 2km from the heart of the town. Footpaths and cycle tracks follow and cross over the water. Visit to picnic on the lawn, enjoy country walks and wildflowers in the meadows, and hear the sound of families splashing and paddling in the river. Powderham Castle is the other side of the River Exe from Sidmouth, but like everything in this list, the drive is worth the effort. Visiting the castle is a perfect blend of grand homes and gardens in one place. The 600-year-old house offers private tours. 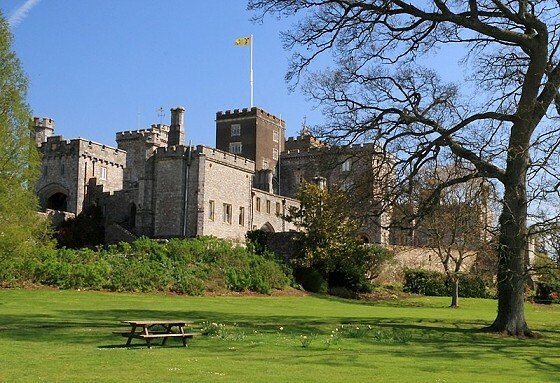 Visitors can explore Powderham’s history; its medieval foundation, Civil War sieges, Georgian, Rococo and Regency expansions and its modern-day use. Expect secret doors and winding staircases, long libraries and a hidden ballroom. Powderham is still a private home of the Courtenay family and their staff for over 600 years. See their family bedrooms and hear personal insights, spooky stories and walk the corridors used for centuries. Outside, there’s so much more waiting. There’s a lake and a famous Deer Park, where a safari takes you around the stunning grounds to see the Fallow Deer. Elsewhere there’s a Rose Garden, a classic Walled Garden full of secrets, an American garden with exotic trees and you can also see The Belvedere Tower - a three-sided building from the early 1700s. A virtually unspoilt and medieval manor house that dates back as far as the 13th century, exploring Bradley Manor is like stepping back in time. Medieval features are everywhere you look, from the panelling to ornate plasterwork. Bradley Manor has retained a number of original features such as the gargoyles outside and ceilings that feature fine plasterwork and 15th-century fleur-de-lys stencilling. One of the oldest aspects is the 13th-century hall which now serves as a kitchen with a huge fireplace. Attached to it is a small chapel, consecrated in 1428. It’s very small but features a fine east window and original wagon-shaped braced-collar roof. This grand and well-preserved house is surrounded by an estate made up of riverside meadows and woods, full of nature with beautiful views. The whole Bradley Manor estate is a Site of Scientific Interest that needs to be seen to be believed. Compton Castle is dramatic on the eyes! It’s tall and breathtaking fortified walls that date back to 1340 - 1480 make it a rare survivor of medieval England. The castle is now a National Trust manor house, but it’s still lived in by the historic Gilbert family (Sir Humphrey Gilbert was a coloniser of Newfoundland and half-brother to Sir Walter Raleigh). Highlights include the Old Kitchen with a spiral staircase to the Guard Rooms, a restored Great Hall in which more can be learnt of the Gilbert family and their Elizabethan explorations, a Solar and sub-solar block, and a chapel. Those who love history will love Compton, especially when considering its defences, usually only seen in movies these days. You can see the lookout holes close to the ground and imagine where arrows rained down. The gardens are small in comparison to the grand walls but consist of lawns and orchards, a rose garden and a knot garden too - ideal for relaxing in. 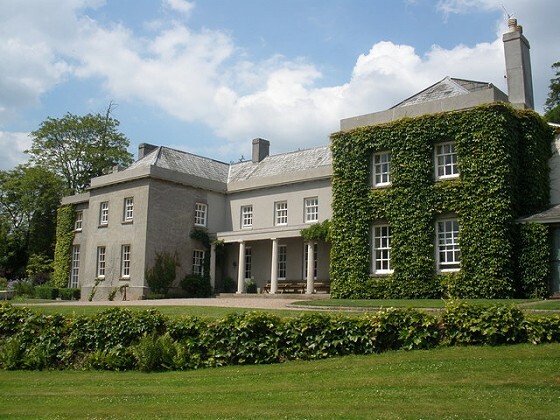 Welcome to Fursdon House, a traditional country estate found in the countryside, close to Exeter. Visiting the house is definitely a unique experience and is done by guided tours only. Fursdon House is privately owned. The site has been in the Fursdon family since 1259 and the house has been developing from a thatched dwelling to a grand mansion home over 750 years! Guests are welcome to visit the family home on selected dates over the summer, to enjoy a private tour (make sure you visit their website for all the details on timings). The family are responsible for the preservation of the house and the estate and the tours embrace this home steeped in history, talking restorations, conservation, family stories, tales from the past and everyday life in the running of the estate. Day visitors can also explore the stunning gardens. 4 acres of grounds rise up behind the house, with the Fox Garden showcasing flowers and groomed areas alongside a wooded walk to a pond. 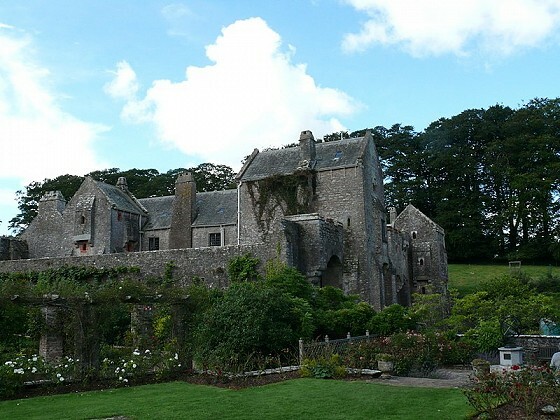 There’s a lot to cover about Castle Drogo in Dartmoor! 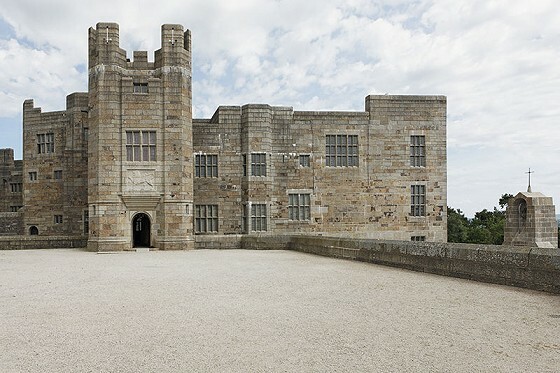 It was the last castle built in England, finished in 1930. Built with granite by a leading architecture, the house was designed to look like a stunning and historic defensive castle - and it really does. Sadly, the roof has always had a leak, a problem that has caused ongoing and repetitive issues and by 2012 its steel infrastructure was under severe threat. By the end of 2018, a massive project to make the roof watertight should be completed. Visit this year to enjoy a hard-hat tour of the castle and to see the views from the top. The gardens are a highlight of the visit. It’s a private garden away from the building, split into a number of sections and styles. Elsewhere in the grounds are a selection of things to do and paths through stunning Dartmoor scenery. From Castle Drogo it’s easy to explore Teign Gorge. Then there’s the inside of the castle itself. See the unique design, learn about its history and the stories of the family who originally lived here. 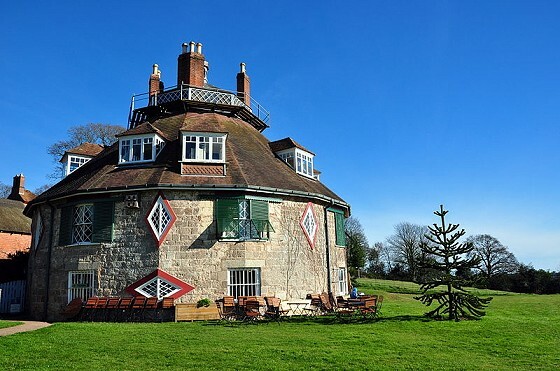 How do you fancy seeing a unique 18th-century, 16 sided house? Well at A La Ronde you can. With fascinating interior decorations and collections, a visit here shows a fascinating insight into the life of two spinster cousins; Jane and Mary Parminter. They had the house built in the 18th century and it has been filled with history and collections ever since - including 25,000 shells! Now a Grade I listed building and owned by the National Trust, the house is open to all. The simple meadow grounds add a quaint touch to this fascinating must visit attraction. 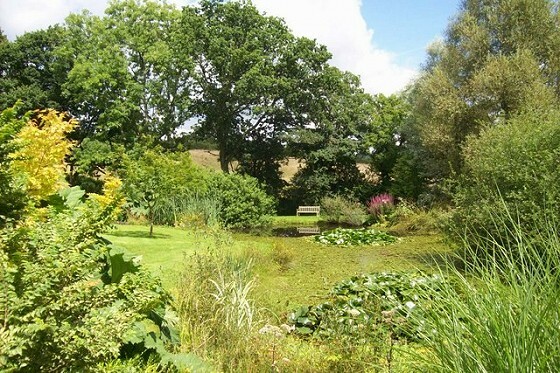 Burrow Farm Gardens is a 13-acre garden that appeals to plant enthusiasts and tranquil walkers alike. Sweeping lawns lead down to a lake with a selection of gardens in between. Think of Burrow Farm as a secret garden, made up of a number of sections. The Woodland Garden features wildflowers in a Roman clay pit. A Millennium Garden created in 2000 features waterfalls and a formal pond and views stretching out over the valley and beyond. A Rose Garden features a stone statue as the central point, and a formal Terrace Garden is the type of garden you wish you could have at home with stonework, gravel paths, steps and pear trees. But there’s a lot more to see too - so we suggest losing yourself at Burrow Farm and forgetting the world. A Grade I listed garden that spans nearly 300 years of horticultural history, Bicton Park near Budleigh Salterton, is simply a glorious place to spend a day lost in nature. Visit Bicton to experience acres of lush green lawns, fountains, woodland and stunning flower beds. The glasshouses are full of plants from around the world, and through the grounds there are 1000 trees of 30 different species. Specialised gardens mean there’s always a new sight to enjoy and kids will love the play area and the railway. Visit Bicton and find some time to escape life through nature, gardens and natural beauty! We hope you’ve enjoyed this review of historical grand homes and gardens in South Devon. If you’ve visited some of these places and would like to tell us about it, then feel free to contact us about it. Or if we’ve missed a special place, let us know. Reach us via our Facebook or Twitter accounts if you wish.